Steel windows came to the fore in the 1920’s when the Crittall, founded by FB Crittall in 1849, became the first company to produce standard steel windows for a government housing scheme. This established Crittall’s contribution to the early ‘Modern Movement’ in architecture. It was form follows function, writ large. Apart from its non-ornamental looks, galvanising the steel with zinc in their own plant from 1939, protecting the metal from corrosion, gave them some advantages over their timber competitors. However, they transmitted cold temperatures through the frames and were, therefore, prone to condensation. Luckily, the rebate on a Crittall window can easily accommodate an 11mm Slimlite unit and address this problem. 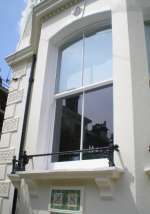 Slimlite has replaced single panes on many Crittall windows notably on the Art Deco façade of the East stand at Highbury, Arsenal’s former ground. 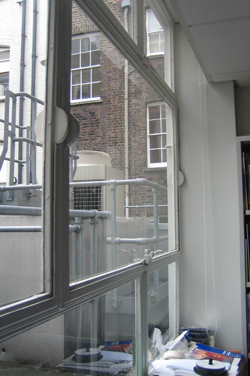 Crittall windows are often leaded, and Slimlite units can be produced with lead strips to replicate this.